Looking for a New Mercedes-Benz GLC-Class in your area? CarGurus has 389 nationwide Mercedes-Benz GLC-Class dealers with 51,044 new car listings. In 2016, Mercedes-Benz introduced the GLC-Class, which marks five separate SUVs for buyers to choose from in the company’s lineup. The GLC-Class offers multiple configurations to choose from for each model, allowing buyers to choose an SUV tailored to their tastes. Slotting in under the GLE-Class, the GLC-class tends be somewhat smaller than average, and it’s essentially a taller version of the C-Class sedan. 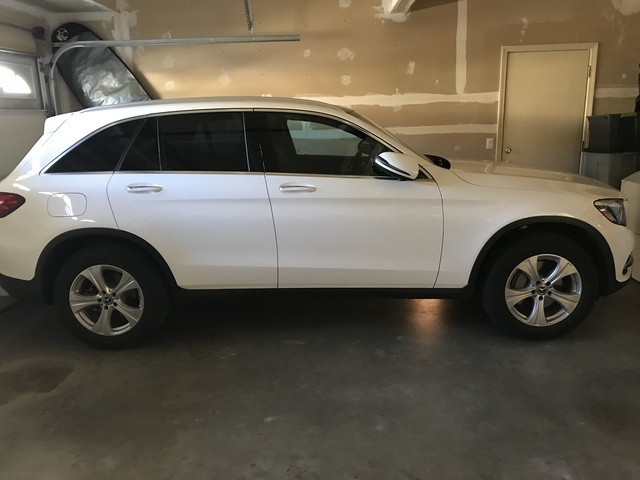 The GLC-Class most commonly comes in the form of a standard five-door SUV with a rear hatch, but Mercedes-Benz also makes a “coupe” version that cuts some of the roof section out of the back for a more sloping roofline. Though some argue that the coupe is more attractive, it costs more while reducing cargo space. 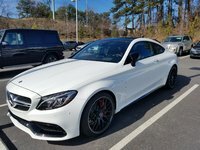 In addition to these body style choices, buyers can choose from three different models, including two speedy AMG-tuned variants. For 2018, this relatively new model doesn’t have much in the way of updates, but the GLC-Class offers a new available performance exhaust as well as Mercedes-Benz’s Track Pace app, which serves as a data log for use at the track. The GLC-Class lineup starts with the GLC 300. 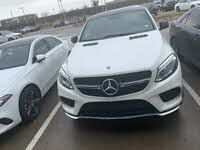 This model comes in either rear-wheel drive or 4MATIC all-wheel drive with a 45:55 front to rear torque split, and it is powered by a 2.0-liter turbo V4 engine that puts out 241hp and 273 lb-ft of torque coupled with a 9-speed automatic transmission. This model can reach 60 mph in 6.3 seconds. The two upgraded AMG options keep the 9-speed and all-wheel drive hardware while upgrading the engine. The AMG GLC 43 model ditches the four-cylinder in favor of a 3.0-liter twin-turbo V6 that creates 362 hp and 384 lb-ft of torque. This model drops the car’s 0-60 time to just 4.8 seconds. The most powerful model, the AMG GLC 63, comes with a 4.0-liter twin-turbo V8 that makes 469 hp and 479 lb-ft of torque. The sprint to 60 should take around four seconds flat, and if that isn’t fast enough, Mercedes-Benz offers a GLC 63 “S” model that reaches 503 hp and 516 lb-ft of torque, reaching 60 mph in less than four seconds. However, the S model only comes in the coupe body style. All of the GLC 63s have a limited-slip rear differential, but the S model’s is electronically controlled. Like many gas-powered cars these days, the GLC-Class comes with a stop/start function to save fuel, but it has been criticized for being shaky and unrefined for such an expensive automobile. Despite this feature, no GLC model excels in fuel economy. The base GLC 300 is rated at 22 city, 28 highway, 24 combined MPG with rear wheel drive and retains similar mileage with all-wheel drive. The AMG GLC 43 is rated at 18 city, 24 highway, and 20 combined MPG. The AMG GLC 63 hasn’t been rated yet, but expect it to be measurably worse than the six-cylinder AMG. For an SUV that weighs over two tons, the GLC-Class should handle well due to optional air dampers that make the ride extremely stable and very comfortable. The faster AMG models still glide over bumps even though the all-wheel drive system directs more power to the rear wheels for better dynamics. The driver can also amplify performance and handling characteristics with Sport, Sport+, and even Race modes. Mercedes Benz also offers a Sport package on base models, which adds larger alloy wheels and brakes. On the inside, the GLC-Class brings the class and style expected from Mercedes. The interior features lots of leather and ample wood, but base models come standard with synthetic leather seating. The baseline GLC 300 includes standard features like a power driver’s seat, dual-zone automatic climate control, and a 7.0-inch infotainment screen. Upgrade options include a panoramic sunroof, satellite radio, genuine leather seats, LED headlamps, Burmester audio system, a larger 8.4-inch infotainment display screen, and a head-up display. Mercedes-Benz also offers a Night Package, which replaces some of the chrome trim with gloss black, and the gloss wood trim can be switched out for open-pore grain or black walnut. AMG models add more heavily bolstered, sportier seats, and coupe models cut down on rear cargo space but leave rear passenger headroom intact. The standard five-door model has 20.5 cubic feet of space with the folding rear seats in an upright position. Most current Mercedes-Benz models get top marks for safety, and the GLC-Class fits the mold. While the National Highway Traffic Safety Administration hasn’t tested it yet, the Insurance Institute for Highway Safety has put the GLC-Class in the Top Safety Pick+ category. Standard safety equipment includes a reversing camera and forward collision warning with automatic emergency braking, and buyers can select options like extra airbags, surround-view cameras, blind-spot monitors, adaptive cruise control, active lane control, and LED headlights with automatic high beams. As with any Mercedes, though, adding loads of upgrades also raises the price tag very quickly. What's your take on the 2018 Mercedes-Benz GLC-Class? Users ranked 2018 Mercedes-Benz GLC-Class against other cars which they drove/owned. Each ranking was based on 9 categories. Here is the summary of top rankings. Have you driven a 2018 Mercedes-Benz GLC-Class? Enter your zip to see incentives for a new GLC-Class in your area. Looking for a Used GLC-Class in your area? CarGurus has 16,897 nationwide GLC-Class listings starting at $20,982.